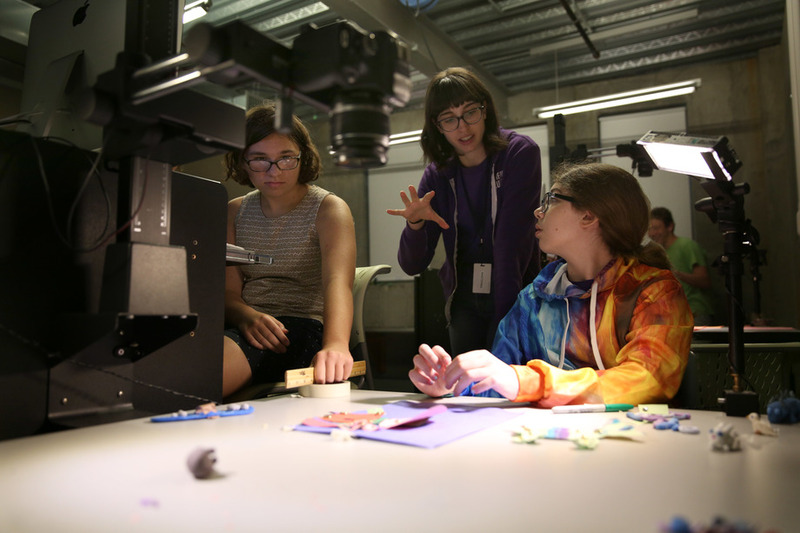 Campers in 9th and 10th grade Animation Lab Camp had the fantastic opportunity to work with Emily Ann Hoffman, a Sundance Ignite Fellow and Creative Culture alum. Emily Ann taught this one-week camp focusing on a variety of traditional animation techniques, resulting in multiple short animated films and also a wealth of knowledge about the history and technique of animation. 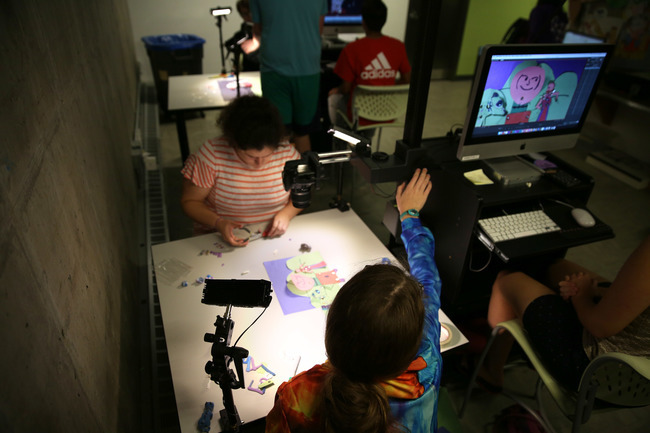 Day 1: The camp began with the beginning of animation, exploring the history of zoetropes, thaumotropes, and flipbooks, which gave the animators a fascinating view into how far we’ve come and what we can still learn from these early forms. They tried their hand at making thaumotropes, then moved into a Dragonframe lesson, learning about this professional grade stop motion software. Day 2: In order to simulate motion, campers needed to examine motion more closely. That included breaking down one of the most basic of daily activities – walking, and examining what movement actually looks like. This led into puppet construction and creating movement with the puppets. 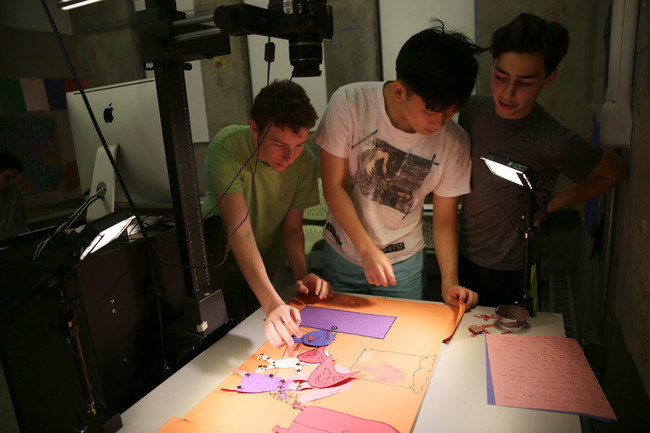 Day 3: Moving from walking to talking, the animators learned how to make their paper puppets talk by utilizing Dragonframe. They also practiced lip-syncing and began to fully develop their stories for the week. The campers wrote their scripts and storyboarded their animations. Day 4: Campers built the sets and props for the stories they had developed, reviewed and revised their stories and began to animate! Day 5: The final day of camp was spent animating their short films and editing them with Adobe Premiere Pro. Finally, the campers showcased them in the end of camp screening. Interested in teen programs? Check out our Courses @ the Lab page and explore all our upcoming opportunities!